Any project begins with an idea, the kernel of a concept that you hope pops into something bigger, something better. The same holds true for those involved in the life sciences. A new treatment or device or biochemical breakthrough begins with a simple idea. It might be to ease patients’ suffering, or to make a surgeon’s task easier and more effective. It could be any number of things. And, in more instances than one might surmise, that idea could come from a personal experience or connection. Take the case of PECA Labs, run by founder Doug Bernstein, as one example. PECA Labs, begun in 2012 as a Carnegie Mellon University and University of Pittsburgh spin-off, focuses on pediatric and cardiovascular surgical devices. Its proprietary MASA valve greatly lessens the likelihood of reconstructive surgery later in life for newborns with rare congenital heart defects, like the one suffered recently by the infant son of late-night host Jimmy Kimmel. Bernstein had a great motivator for delving into research and development of these devices in particular – he had been born with the same kind of congenital heart defect. “My life was saved, shortly after being born in Los Angeles, by a pediatric cardiac surgeon,” explained Bernstein. “I only survived because a surgeon had been flown in when another baby, born at the same time, had a congenital heart defect. When the doctors realized that I needed the same attention, they called the airport and had that surgeon come back to the hospital before flying off. He saved me, which was so unbelievably lucky because there weren’t many surgeons who could perform that procedure then. And it all started with a simple idea – to save and improve the long-term lives of babies born with the same heart defect Bernstein had. Robots like the healthcare companion Baymax in Disney’s animated film Big Hero 6 are not too far from reality. In fact, the inspiration for the inflated robot physician came from the robotics lab of Pittsburgh’s Carnegie Mellon University. As more industries converge with one another, robotics innovations like Baymax are becoming more and more common in the healthcare and life sciences sectors. Innovators are creating new robotics technologies that could transform the way that we provide health care, treat diseases, conduct research and approach a number of other life science procedures. The market for medical robotics is opening up too. A recent report estimates that the market for surgical medical robots alone will be over $20 billion by 2021. And in 2014, venture capitalists (VCs) invested over $341 million in robotics, $77 million of that went to medical robotics startups. 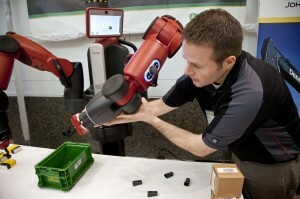 How will robotics continue to make a mark in healthcare and life science innovation? According to the Princeton Journal of Science and Technology,the first robot-assisted surgery actually took place over 30 years ago, in 1985. Medical robotics have come a long way since then. In recent years, robotics have assisted in a number of surgeries in gynecological, gastrointestinal, urological, and other areas. They have been most helpful with highly precise and minimally invasive surgery. Robotics has allowed surgeons to visualize certain areas of the body more clearly. One of Pittsburgh Life Sciences Greenhouse’s portfolio companies, Medrobotics, is one company that is using robotics to improve how surgical procedures are conducted. Its Flex® System uses surgical robotics with a flexible endoscope technology to enable surgeons to visualize hard-to-see anatomy and perform surgery. Robotics have helped life science research companies and other scientists handle and study hazardous materials more efficiently and safely. For instance, a team of scientists from the University of Manchester have developed a robot called Eve that is helping to accelerate the drug discovery process. Eve’s design aims to automate early-stage drug development to make testing new treatments faster and more economical. At a screening rate of over 10,000 compounds per day, the robotic system could help identify new drug candidates for diseases like malaria and Chagas’ disease in record-breaking time. Interest in telemedicine has surged in recent years. Studies have shown that there is a high level of interest amongst both consumers and healthcare providers and organizations seeking telehealth innovations. According to Software Advice, 75 percent of patients express at least a moderate interest in using telemedicine solutions. When it comes to providers, a 2013 study by Healthcare Intelligence Network found that 67 percent of providers have used telehealth, and 74 percent of them are planning a telemedicine initiative in the next 12 months. The need for robotics in telemedicine exists now and will likely continue to grow with the market expected to increase at a compound annual growth rate of 18.5 percent through 2018. But how these robotics technologies are used in healthcare will continue to evolve. Telemedicine robots have been used to help physicians diagnose concussions, increase the productivity of staff in hospitals and clinics and have even helped in slowing the spread of deadly diseases like Ebola. As the technology and automation behind them gets more sophisticated, their possible applications in healthcare are expanding. Now more than ever before, the healthcare and life science industry is converging with other sectors like technology and robotics. Patients and providers are showing more interest in high-tech tools that have the potential to improve healthcare and life sciences. 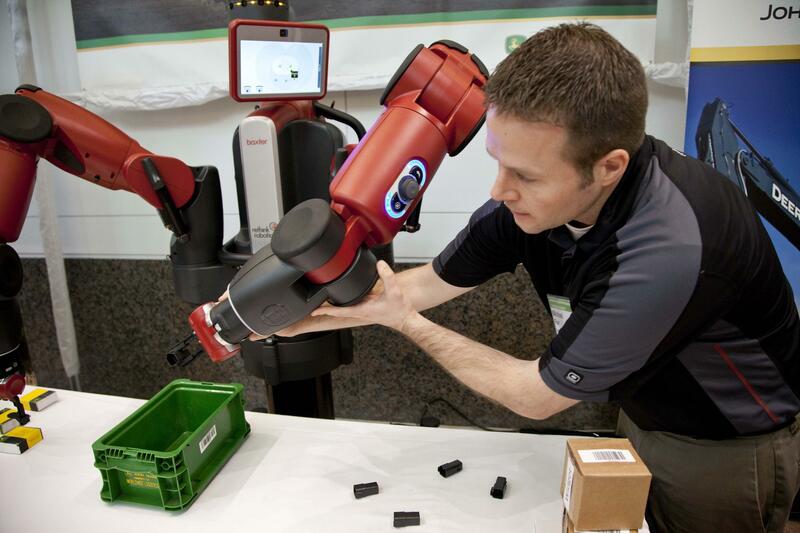 Both of these factors are igniting a growing entrepreneurial interest in robotics technologies that will ultimately revolutionize the way the current system operates. © 2019 Pittsburgh Life Sciences Greenhouse. All rights reserved.